Twenty-five bottles of Christmas cheer. 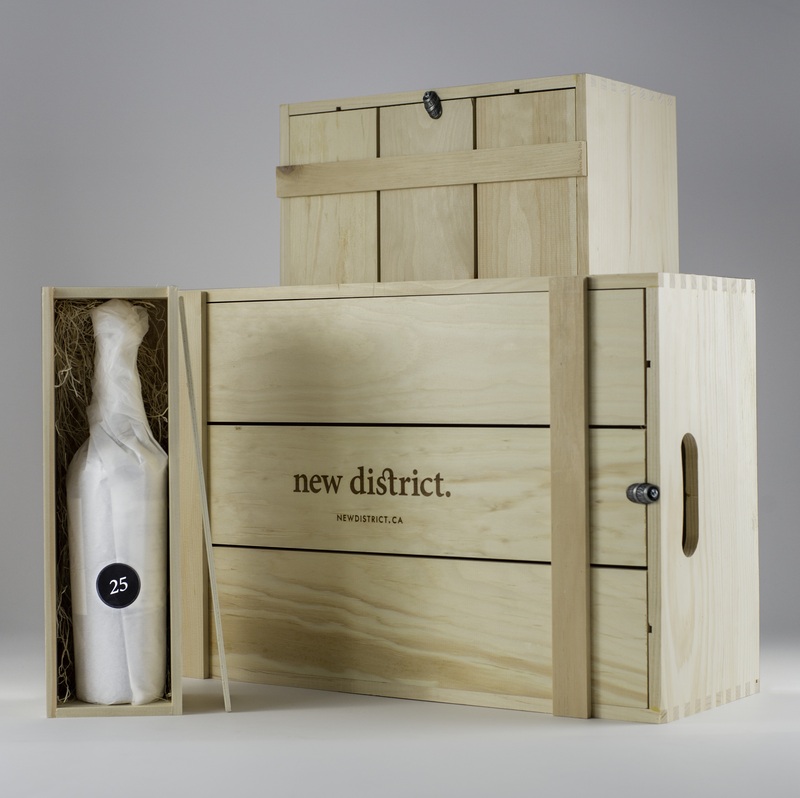 This December, count down the days until Christmas with 25 bottles from Vancouver-based online wine-seller New District, which curates products from international winemakers to create custom advent calendars catered to client’s tastes. To kick-start the selection process, one must phone New District directly to convey preferences. Whether it be rich Old World Boudreaux or sparkling rosés, once tastes are established, New District’s DJ Kearney (one of British Columbia’s top wine authorities) will select 25 bottles for your calendar from a maker best suited to your palate. Bottles are then individually wrapped by hand in paper, stickered with numbers from one to 25, and placed in wooden crates of 12 bottles each. The ultimate bottle comes in its own separate package—a “show stopper” Kearney selects for Christmas dinner. Orders by phone may be made until November 26 for all advent calendars to be received by December 1, 2016, but do note direct shipping is only available within British Columbia; for delivery elsewhere, arrangements must be made for a third party pickup from New District Vancouver’s brick-and-mortar location. No matter how these calendars find their recipients, they are guaranteed to imbue the holiday season with cheer. New District Wine, 5650 Dunbar St, Vancouver, BC V6N 1W7, +1 604-229-3663.